Working with Gold & Silver | Metalwerx, Inc. Ever want to try your hand at working with gold? Add gold to your silver jewelry? Afraid of getting started? This weekly class is for perfect for anyone who wants to step up their bench working skills and expand their metal palette to conquer the fear of gold. Students will come to understand different karats of gold and gold solders as well as how to add gold to projects they're working on. Students will receive an overview of the different karats of each alloy - 10kt, 14kt, 18kt, 24kt. We will work mostly in 14kt yellow gold which is standard in the US. Joy will demonstrate soldering gold to silver, how gold solder behaves in comparison to silver solder, how to solder gold bezels and set stones in gold. Joy will also show how to recycle old gold jewelry (such as broken gold chains, old gold jewelry or scraps) by melting items down to make gold ingots that can be used to produce gold wire, gold bezel, gold beads for accenting silver, etc. Joy Raskin has been a silversmith since 1984, and has exhibited throughout the United States, Ireland and New Zealand, showcasing both her jewelry and flatware designs. Joy is a native of New Hampshire, having attended public schools in Manchester and Concord. She was accepted as a member of the League of NH Craftsmen while still in high school. She received her BFA from the Rhode Island School of Design, and her MFA from the University of Massachusetts at Dartmouth. 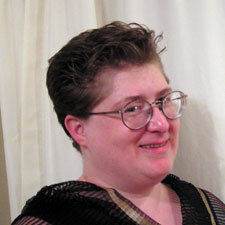 Joy is an instructor at Metalwerx in Waltham, MA, The Craft Center in NH, Sharon Art Center and many other schools. Joy also teaches workshops on jewelry making, metalsmithing, wireweaving, and various metal techniques at craft programs throughout New England. She also works as a goldsmith for a local gallery and is enjoying working with high tech tools such as the laser welder. Joy has received many awards for her work. She was commissioned by the NH State Council on the Arts to create the Cultural Access Award for the Governor’s Awards in the Arts in 2001. Her work is included in many collections, including the White House and Smithsonian Institution. Joy's work is found in multiple galleries throughout New England, including the League of NH Craftsmen Galleries, Boston Society of Arts & Crafts, Guilford Art Center, Millbrook Gallery, and others. There is a TBD materials fee for this class that is payable upon registration. The materials kit includes 14kt yellow gold wire and bezel strip, which can be used for a ring project. In addition, Metalwerx will have 1 pennyweight each of 14 karat easy, medium, and hard solder which will be shared between students and divided up between the class. Joy will have some gold solder, gold tube bezels, extra stones, and a limited amount of gold for students to purchase as needed for their projects. Students will be responsible for their own silver they would like to work with. Students must bring some silver sheet metal and wire you'd like to work with, and some projects that they want to add some gold to. (Optional) Any old gold jewelry ( broken gold chains, earrings, old rings, etc) to melt down and use to make gold wire, bezel strip or gold beads. Students are encouraged to bring in jewelry or projects that they would like to add gold to, or a gold bezel. Note: The Metalwerx studio has many hand tools available for use during class but if you have your own, you can bring them along so you don't have to share. Pliers: round nose, needle nose, half round/flat, flat jaw, and flush cutting pliers.